The pitcher who holds the record for most wins in a season by a member of the Cincinnati Reds is Dolf Luque. Yet, so few Cincinnati fans know that. Luque was the first Latin American to ever win a game in the World Series. Over the course of a 20-year career, Luque won 194 games … and after his career was over he resurrected the career of Sal “The Barber” Maglie and several others. Baseball historian, researcher, writer and SABR member Peter Gordon returns to SFH for a wonderful conversation about one of the game’s forgotten stars of the past – Dolf Luque. Spring has sprung and the Masters is upon us. Of course, when you think about the Masters such names as Nicklaus, Hogan, Palmer, Woods and Jones come to mind; but so few talk about the first man to win the Masters three times – Jimmy Demaret. Demaret had quite the colorful wardrobe and he was a terrific golf analyst as well … but his swing, was a thing of beauty. Smooth. Silky. Technically majestic. John Companiotte, author of the book, “Jimmy Demaret: The Swing’s the Thing,” joins us to talk about Demaret and a few other nuggets as well. One of the most irrelevant teams in the history of sports has got to be the Kansas City Scouts … but htye certainly hand a handful of stars. Guys like Simon Nolet, Guy Charon and Wilf Paiemont. An NHL expansion team, the Scouts lasted just two years before packing up and moving to Colorado where they played as the Rockies. The Rockies later became one of the NHL’s best teams and drank from the Stanley Cup three times as the New Jersey Devils. Troy Treasure, who wrote the book, “Icing on the Plains, The Rough Ride of Kansas City’s NHL Scouts,” joins the podcast as we take a look back at the short-lived existence of the Kansas City Scouts. Ron McDole, who spent 18 years as defensive lineman in the AFL and NFL, mostly for the Buffalo Bills and Washington Redskins, joins SFH as we take a look back at his terrific career … a career that should be topped off with enshrinement into the Pro Football Hall of Fame in Canton, but to this date, has not happened. McDole, who played for such greats as Lou Saban and George Allen, played with the likes of Cookie Gilchrest, Billy Kilmer, Jack Kemp and OJ Simpson to name just a few. McDole has much to say and we have a lot of fun as we look back at his simply marvelous career. Long before they were the Sacramento Kings, this basketball franchise played its games in the Queen City – Cincinnati and were known as the Cincinnati Royals. Featuring such Hall of Fame players as Oscar Robertson, Jack Twyman and Jerry Lucas, the Royals were never able to climb the summit and win the NBA Championship, but they were certainly as colorful and flamboyant a team as there was during the 15-years in Cincinnati. Gerry Schultz, author of, “Cincinnati’s Basketball Royalty: A Brief History: A Look Back at 15 years of Cincinnati Royals NBA Basketball,” joins the podcast. Red Kelly won more Stanley Cup Championships than any other player in NHL History without ever wearing the sweater of the Montreal Canadiens. One of the greatest to play for the Detroit Red Wings and Toronto Maple Leafs, he was a Hall of Fame defenseman, but, for whatever reason, is rarely mentioned in the same breath as some of the game’s other greats. And that’s a shame, because when it comes to playing defense and winning, when it comes to versatility, and when it comes to playing the game the way it should be played, few can match the career of Red Kelly. L. Waxy Gregoire who co-authored the book, “The Red Kelly Story,” joins SFH for a terrific look back at one of the game’s greatest. Before they were known as the Atlanta Hawks, they were known as the St. Louis Hawks and they were one of the most dominant teams in the NBA. In fact, if not for the Hawks, there might not be a Boston Celtics. Yep. Really! Had the Hawks not cooperated with the front office of the NBA, the Celtics might have folded shop. But, the Hawks did cooperate; and the NBA’s greatest dynasty followed. Ironically, the lone team to dethrone Boston during its incredible title run throughout the 1960s was the St. Louis Hawks. Greg Maracek, founder of the Missouri Sports’ Hall of Fame, St. Louis television personality and former play-by-play voice of a few St. Louis-area sports teams joins the podcast for a terrific conversation about a team long-forgotten and the many stories surrounding it. Jackie Robinson was the first African-American to break to the color-barrier in Major League Baseball, but do you know who was the first African-American to be drafted by an NFL team? Did you know he turned his back on the NFL and opted to play in the AAFC instead? Who was he and why? George Taliaferro was drafted by the Chicago Bears and later started and played in the NFL in seven different positions including QB, RB, kicker and DB. Author Dawn Knight makes her first appearance on SFH for a conversation about George Taliaferro the first African-American drafted by an NFL team. The oldest trophy handed out in sports is the Stanley Cup. But what are its origins and who was Lord Stanley? Why did he decided to donate a “Cup” to the amateur champions of hockey in Canada? Kevin Shea, one of hockey’s foremost authorities, returns to Sports’ Forgotten Heroes for a conversation about a figure who looms large over one of our major sports, but who was not a star on the playing field (or ice). The name Gus Dorais might not be familiar to many, but it should be. He was one of college football’s earliest innovators. In fact, had he made the decision to coach at his alma matter instead of taking the job at Dubuque, the legend of Knute Rockne might not be what it is today. Dorais and Rockne were teammates and best-of-friends; and helped to vault the University of Notre Dame into the national spotlight. 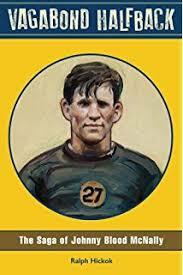 Author Joe Niese of the book, “Gus Dorais, Gridiron Innovator, All-American and Hall of Fame Coach,” along with Gus’s grandson Bob Dorais are guests on this terrific look back at a truly forgotten sports’ hero, Gus Dorais. Archie Moore was one of boxing’s most popular champions. But climbing the ladder and being given an opportunity to box for a championship was not an easy road … and the fact that he never won a heavyweight title, only a light heavyweight championship, has certainly affected his legacy. But Moore was good. He knocked down the great Rocky Marciano and later stepped into the ring with a young Cassius Clay. Boxing aficionado George Thomas Clark returns to Sports’ Forgotten Heroes for a look back at the 28-year career of Archie Moore. Joe “The Jet” Perry was the first player in the history of the NFL to rush for over 1,000-yards in back-to-back years. In fact, until Frank Gore passed him by in 2011, Perry was the leading rusher in the history of the San Francisco 49’ers. Yet, you would be hard-pressed to find many who could tell you anything about “The Jet”. Lee Elder from the Professional Football Researcher’s Association returns to SFH for a terrific conversation about Joe “The Jet” Perry. Joe Kapp spent just three years with the Minnesota Vikings, but what a time he had. Basically shunned by the team that drafted him, the Washington Redskins, Kapp took his game north to the Canadian Football League where he played for legendary GM Jim Finks for the Calgary Stampeders and then the BC Lions. Finks moved on to the NFL and the Vikings along with another legend, Bud Grant. When Kapp decided to make a go of it in the NFL, Finks and Grant recruited him to Minnesota, where in his third year, Kapp led the Vikings to a Super Bowl appearance agains the Kansas City Chiefs. Edward Gruver from the Professional Football Researcher’s Association, writer and co-author of the soon to be released, “Hell With the Lid Off: Inside the Steelers-Raiders Rivalry That Changed Pro Football,” joins the podcast for a wonderful conversation about “Injun” Joe Kapp. Duke Slater is one of the most overlooked superstars in the history of professional football; partly because he was an offensive lineman … partly because the teams he played for did not win championships. But if you ask his contemporaries who the best in the game was and whether or not he should be in the Hall of Fame, to a man, they’d all say Duke Slater was the greatest. 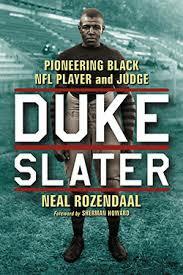 Author Neal Rozendaal Neal who authored the book, “Duke Slater: Pioneering Black NFL Player and Judge” joins the podcast for terrific discussion about one of football’s greatest lineman – ever! Playing in the shadow of the great Harmon Killebrew was not an easy task for any member of the Minnesota Twins. But Bob Allison did the best he could and it was pretty damned special. Allison was the AL Rookie of the Year in 1959, made three all-star teams and eight times hit 20+ homeruns in a season. But outside of Minnesota, so few remember the slugger. Greg Wolf, director of SABR’s Bio Project, returns to SFH as we remember the career of Bob Allison. Lefty O’Doul was one of baseball’s greatest hitters. Heck, his .349 career batting average is the fourth highest of all time! However, he only played six full seasons because he first tried to make it as a pitcher … but when he turned 31 the New York Giants called him up and in 114 games he hit .319. A year later he was traded to the Philadelphia Phillies hit .398 with 32 home runs and 122 RBI. As good as he in the batter’s box, his contributions to game off the field might even be more remarkable – particularly in Japan. Author Dennis Snelling who wrote the book, “Lefty O’Doul: Baseball’s Forgotten Ambassador” is the guest on this edition of Sports’ Forgotten Heroes. Sal “The Barber” Maglie started his Major League career late at the age of 28. But, when he finally got going he was as tough as they came. The last man to play for the New York Giants, Brooklyn Dodgers and New York Yankees, Maglie was also a key cog in three of the most memorable games in the history of baseball. Peter Gordon who has written several biographies about for SABR about players from the old New York Giants joins the podcast for a look back at a most dominant pitcher. Kiki Cuyler is, perhaps, one of the most obscure names in the baseball Hall of Fame. Yet, he was one of the game’s most popular players and a true-5-tool superstar during his playing days in the 1920s and 1930s for the Pittsburgh Pirates and Chicago Cubs. Amazingly, he led the Pirates to the World Championship in 1925 and most Pittsburgh fans have never heard of Kiki Cuyler. Gregory Wolf who has edited and written several books on baseball and has written over 150 biographies on baseball players for SABR joins the podcast for a in-depth look back at one of this forgotten hero of Major League Baseball. Lyman Bostock was one of Major League baseball’s up and coming stars. Having established himself with the Minnesota Twins in his rookie year of 1975, Bostock went on to enjoy two more terrific season with Minnesota in 1976 and 1977 batting .323 and .336 respectively. He parlayed those two seasons into a big contract with the then California Angels as a free agent. After a slow star in 1978 with the Halo’s, Bostock caught fire and was leading the time when his life was tragically cut short in a case of mistaken identity. Joining SFH for a look back at the promising career and horrific death of Lyman Bostock is the author of the book, “Lyman Bostock, The Inspiring Life and Tragic Death of A Ballplayer,” K. Adam Powell. Ralph Guldahl was one of golf’s best, winning back-to-back U.S. Open Championships in 1937 and 1938 … and then the Masters in 1939. He won 16 tournaments in 10 years. But then he suddenly upped and left the game. Tony parker from the World Golf Hall of Fame returns to SFH to take a look back at the career of Ralph Guldahl. He was the most electrifying goal scorer in the history of the NASL (North American Soccer League) and once scored 7 goals in a single game for the New York Cosmos. But his story is so much more than just the best striker in American soccer history, he had to leave his homeland of Italy because of threats to himself and his family – and this after leading his team and Serie A in goals scored. Kartik Krishnaiyer, author, and host of the World Soccer Talk podcast is back to talk about Giorgio Chinaglia. In 1937, Gottfried von Cramm was considered to be the No. 2 ranked tennis player in the world; and in a particular Davis Cup match against the world’s No. 1 player, Don Budge, von Cramm was facing pressure unlike any player before him or any player since! Yes, a loss by von Cramm and the Gestapo was there to greet him and possibly take him for a most unpleasant visit with the furor himself – Adolf Hitler. Special guest Marshall Jon Fisher, author of “A Terrible Splendor” is back with one of the most fascinating stories yet on Sports’ Forgotten Heroes. Urban Shocker is not a name most baseball fans are familiar with. But they should be. Shocker won 187 games for the St. Louis Browns and New York Yankees – and he owned Babe Ruth. In fact, it was Ruth who campaigned to trade for Shocker. A simply marvelous pitcher, Shocker dealt with health issues that ultimately – and tragically – led to his death while he was still on the roster of the Yankees. Steve Steinberg, author of “Urban Shocker: Silent Hero of baseball’s Golden Age,” is our special guest. Roberto DeVicenzo thought he had done it. Thought he had won the Masters and was going to don the Green Jacket. But a scoring error squashed that dream and cruelly, DeVicenzo – a fabulous champion, winner of 8 PGA Tournaments and the 1967 Open Championship – would never come close again at Augusta. Golf historian Peter Kessler is here to talk about Roberto DeVicenzo, his great career and the scoring gaffe that cost him the Masters. Gene Conley is the only player in history to win championships in two of the major four sports – MLB, NFL, NHL, NBA. Conley pitched for the Milwaukee Braves in 1957 and helped the team defeat the New York Yankees in that year’s World Series. Overall, Conley won 91 games in the majors pitching for the Braves, Philadelphia Phillies and Boston Red Sox. He also played for the Boston Celtics and New York Knicks, and while with the Celtics he came off the bench and helped the team win the NBA Championship in 1959, 1960 and 1961. John Husman, team historian for the Toledo Mud Hens, a minor league team that Conley played for, joins the podcast to talk about his longtime friend. Vic Hadfield was, you could argue, the heart and soul of the great New York Rangers teams of the early 1970s. 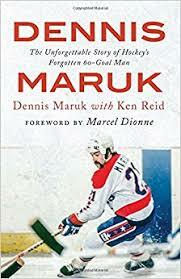 In fact, he was so respected by his teammates he was named captain at a time when New York had such stars as Jean Ratelle, Rod Gilbert and Brad Park. Hadfield was also the first player in Rangers history to score 50 goals in one year. Team historian George Grimm who wrote the book, “We Did Everything But Win” joins the podcast to take a look back at the terrific career of Vic Hadfield. Every once in a while, an athlete comes along who is a stud in more than one sport. Bo Jackson and Deion Sanders are two of the most recent. But long before Jackson and Sanders showed us what they could do in football and baseball, Dave DeBusschere, best remembered for his exploits on the court with the New York Knicks, was a pitcher with the Chicago White Sox and a bright future ahead of him on the diamond. Writer/researcher Bill Pruden discusses DeBusschere’s baseball career and more on the next episode of SFH. The New England Patriots are in the midst of one of the greatest runs in football history. One of the earliest dynasty teams of the NFL were the Green Bay Packers of the late 1920s and early 1930s; and a key component to that team was Johnny Blood. Author/writer/reporter Ralph Hickok who spent years on the road with Johnny to write his biography is here to talk about this Hall of Fame member. Men’s professional tennis has taken a back seat to almost every sport played in the U.S. But there was a time when it ruled. It was the biggest thing going, and the man at the top of the sport was Don Budge. In 1938, Budge did the impossible, he won each of game’s four major tournaments. We’ll take a look back at his career and talk about, perhaps, the greatest match ever played. 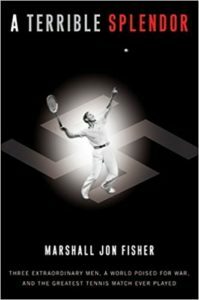 Author of the book, “A Terrible Splendor” Marshall Jon Fisher joins the podcast for a look back at the phenomenal career of Don Budge. The Cleveland Browns won the NFL Championship in 1964. The man who led the Browns to that title, their last, was Frank Ryan. A lightly-regarded quarterback out of Rice, Ryan spent the first four years of his career on the sidelines for the Los Angeles Rams. Demanding a trade, Ryan was shipped to Cleveland, took over the Browns offense, and led the team to their last championship. On this edition of SFH, Frank Ryan joins the podcast to talk about his career and his remarkable career after his playings ended. Roger Gordon, author of many books on the Browns and other Cleveland teams, also joins the podcast to talk about that 1964 championship team. Every December college football heroes gather in New York City and are on hand for the announcement of the winner of one of the most, if not the most, iconic trophies in all of sport – The Heisman Trophy. Who was the man for whom the trophy is named, and what made him so special? John M. Heisman, the great-nephew of the man for whom the trophy is named – John W. Heisman, joins the podcast. 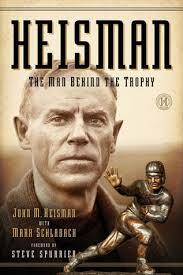 John M. Heisman, along with Mark Schlabach, co-wrote a book, “Heisman, The Man Behind The Trophy”, and he shares many stories about John W. with me on this edition of Sports’ Forgotten Heroes, including his on-the-field innovations, and some incredible stories from off-the-field too! Ernie DiGregorio was drafted No. 3 by the Buffalo Braves in the 1974 NBA Draft. The Braves were on the verge of becoming a competitive team when they drafted Ernie D. Coach Jack Ramsay knew the Braves were not a strong defensive team; but on offense, if they could get the one piece, the one man – a point guard – who could speed up the pace of play and deliver the ball where it needed to be and the exact second it needed to be there, the the Braves “O” could be devastating. Ernie D. delivered. For the first time in franchise history the Braves made the playoffs, and Ernie D. was named NBA Rookie of the Year. Tim Wendel, author of “Buffalo, Home of the Braves” joins the podcast for a look back at the career of Ernie DiGregorio. In 1945, Bob Waterfield led the Cleveland Rams to the NFL Championship. A terrific quarterback who played college ball at UCLA, Waterfield was thrilled when the Rams moved to Los Angeles, and he proceeded to lead the team to another championship and ultimately was enshrined in the Pro Football Hall of Fame. And not only did he have a great career, he married his high school sweetheart, the fantasy of many – Jane Russell. Author Jim Sulecki returns to Sports’ Forgotten Heroes for a look back on the career of Bob Waterfield. Before they were the Los Angeles Clippers, they were the Buffalo Braves. And, for a time, they were one of the most exciting teams on the floor. Stars the likes of Bob McAdoo, Adrian Dantley, and Randy Smith could fill the bucket, but the fans just didn’t fill the seats. Why? Join author Tim Wendel as we look back at one of the NBA’s forgotten teams, the Buffalo Braves, and the love affair between a city and team that keeps growing. He was young. He was fast. He scored an incredible incredible goal against Liverpool. He was controversial. He was openly gay. He left the game too soon, and tragedy followed shortly thereafter. The story of Justin Fashanu with Kartik Krishnaiyer from World Soccer Talk. 80 years ago, 1937, a new team took the field in the NFL – the Cleveland Rams. Yes, the Rams called Cleveland home through the 1945 season before leaving for Los Angeles immediately after capturing their first NFL Championship. One of the game’s least talked about, and forgotten teams, Jim Sulecki, author of The Cleveland Rams, The NFL Champs Who Left Too Soon, joins the podcast to talk about the fascinating history of the Cleveland Rams. Prior to the 1970 baseball season, the New York Mets traded Amos Otis, along with Bob Johnson, to the Kansas City Royals for third baseman Joe Foy. Years later, the Mets were crucified for making such a trade while the Royals were applauded for pulling off such a lopsided deal. Otis went on to become one the great players to ever wear a Royals uniform. An all star center fielder, Otis played for the Royals from 1970 through the 1983 season and to this day is top-3 in a multitude of offensive categories for Kansas City. Bill Lamberty, a member of the Society for American Baseball Research (SABR) joins the podcast for a look back on the terrific and overlooked career of Amos Otis. Long before Tom Brady, Peyton Manning, Joe Montana, Terry Bradhsaw, and Joe Namath there was Benny Friedman. At a time when throwing the football was frowned upon and thought of a “sissy” way of playing the game, Friedman revolutionized the position of quarterback. He was completing more passes, throwing for more touchdowns and throwing for more yards than the rest of the quarterbacks combined! Next on Sports’ Forgotten Heroes the incredible story of Hall of Fame quarterback Benny Friedman. During the three-year stretch of 1944, 45 and 46, Hal Newhouser of the Detroit Tigers put together three of the most dominant seasons any pitcher has ever enjoyed. Overall he went 80-27 with a 1.98 ERA. He completed 83 games and tossed 20 shutouts. He won the MVP Award in 1944 and 1945 (the only pitcher to ever win back-to-back MVP Awards) and finished second in 1946. Overall, he was 207-150. Overlooked for Hall of Fame honors, noted author David M. Jordan penned the book, “A Tiger in His Time: Hal Newhouser and the Burden of Wartime Baseball,” and after it was published, the very next year, Hal Newhouser was inducted into baseball’s Hall of Fame. Join Warren Rogan and David M. Jordan as they look back on the career of one of baseball’s best – Hal Newhouser. Nate Colbert played first base for the San Diego Padres during the early 1970s. Very few fans turned out to see him play. The Padres weren’t that good. In fact, they were one of the worst teams the game has ever seen. But, the few fans that did go out to see Nate Colbert play saw one of the game’s most feared sluggers. In fact, he is still the team’s all-time leader in home runs. But it was one day, August 1, 1972, that catapulted Colbert into the same conversation as one of baseball’s all-time greats – Stan Musial. Playing a in a doubleheader in Atlanta against the Braves, Colbert hit five home runs, knocked in 13 runs and had 22 total bases. A day for the ages, only Musial, who hit five home runs in a doubleheader back in 1952, had a day to rival that of Colbert. Joining host Warren Rogan on this episode of Sports’ Forgotten Heroes is San Diego baseball historian Bill Swank as they talk about that special day and the career of Nate Colbert. Dean Chance enjoyed a terrific career while playing mostly for the California Angels and Minnesota Twins. He won the Cy Young Award in 1964, started two all star games, and is the author of two no-hitters. In high school, Chance threw 17 no-hitters! And while his career in baseball is somewhat overlooked, fellow pitchers like Denny McLain knew just how good he was. McLain joins the podcast to talk about Chance and his career on the mound. After his playing days were over, Chance turned his attention to the world of boxing and made an incredible mark on that sport too. Joining the podcast to talk about Chance’s career in the squared-circle are two members of the Boxing Hall of Fame, Bill Caplan and Don Chargin. Tony Lema was one of the best golfers in professional golf. In 1964 he won the British Open, and was knocking at the door of the Big 3 of Arnold Palmer, Jack Nicklaus and Gary Player. He was as tough as the came, as evidenced by his 8-1-2 record in Ryder Cup play. But he was also one of the most fun-loving guys on the PGA TOUR, and the media loved him too! They loved the fact that they were treated to a round of champagne after every one of his victories. Injuries affected his play in 1965 and early on in 1966. But as the 1966 season progressed, Lema got his game back on track and then tragedy struck. He was killed, along with his wife, on a chartered flight from Akron, OH to just outside Chicago. Bill Roland a close friend of the Lema family, and the author of “Champagne Tony Lema; Triumph to Tragedy” joins the podcast for a look back at the terrific life and career of Tony Lema. In the early 1900s the biggest star in baseball, arguably, was Ed Delahanty. A powerful outfielder for Philadelphia of the National League, “Big Ed” was inducted into the Baseball Hall of Fame in 1945. He hit over .400 on three occasions, once hit four homeruns in one game, led the league in stolen bases, doubles, hits, RBI, and more. He had a gun for an arm, and just might have been baseball’s first 5-tool player. But Delahanty was caught right in the middle of a battle for player services between the National League and the upstart American League. Ultimately, Delahanty left Philadelphia and signed on to play with Washington of the American League. But, baseball’s biggest star struggled financially and his contractual status left him in a desperate state to the point where he left his team in the middle of a road trip, and what happened afterwards is still one of the biggest mysteries in baseball history. Some said it was suicide, others said it was an accident. John Saccoman, a member of the Society for American Baseball Research (SABR) joins me on Sports’ Forgotten Heroes for a conversation about Ed Delahanty – his hall of fame career, and the tragedy that followed. Bill Barilko played only five years in the NHL for the Toronto Maple Leafs, but those were five phenomenal years. 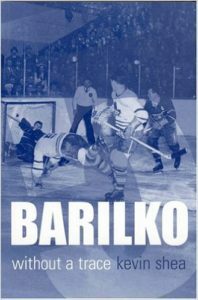 Barilko debuted towards the end of the 1946-47 season and helped lead Toronto to the first of three straight Stanley Cup Championships – the first team in NHL to do so. He won a fourth Cup with the Leafs in his final season 1950-51 and scored the winning goal in overtime to win the Cup for Toronto against the Montreal Canadiens. Here’s the radio call of that famous goal … and here’s video of the goal. 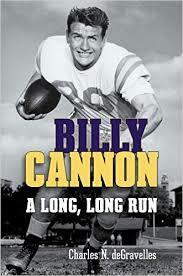 Billy Cannon is one of, if not, the most celebrated player in the history of LSU Football. His return of a punt for a touchdown on Halloween in 1959 is one of the most remarkable plays in the history of college football. In fact, Cannon’s return is still played regularly on the big scoreboard at LSU at every home game – especially when Ole Miss comes to town. Cannon scored 65 touchdowns during his professional career (17 rushing, 47 receiving, 1 kickoff return).